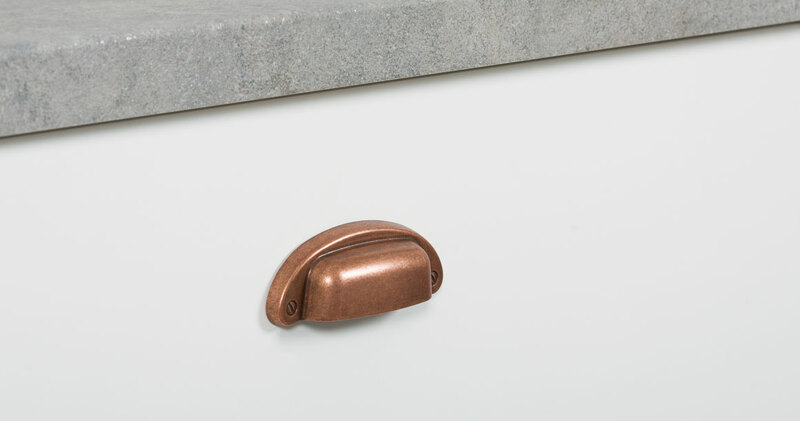 The Petra is the classic bowl-shaped handle, but now updated with antique copper and silver vintage finishes, in line with the latest trends in interior decoration. 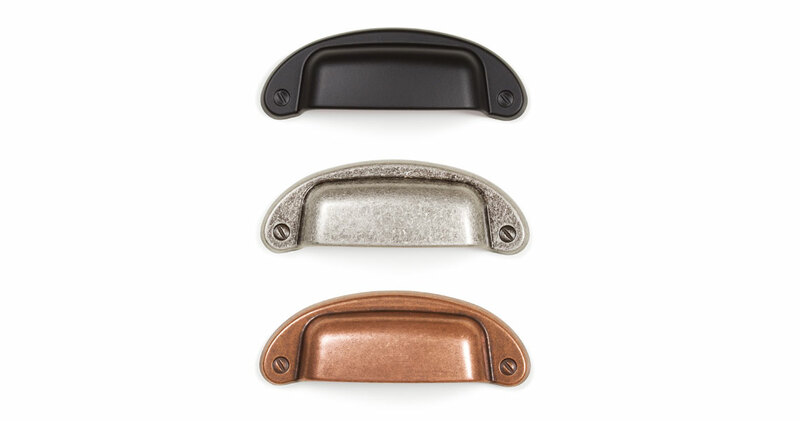 Ideal for furniture of all types that requires handles with character, but in small sizes. This model goes well with framed doors. Available in matt black. Made in zamak.